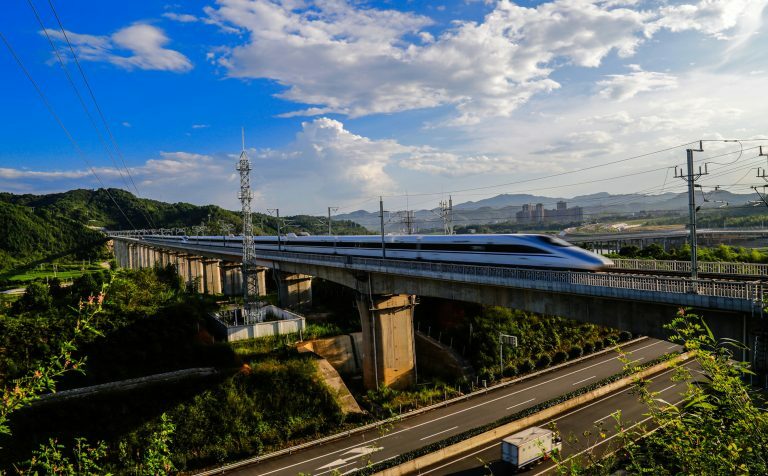 Xian, the eastern starting point of the Silk Road, capital of Shaanxi province and one of China’s ancient Capital Cities for several dynasties. 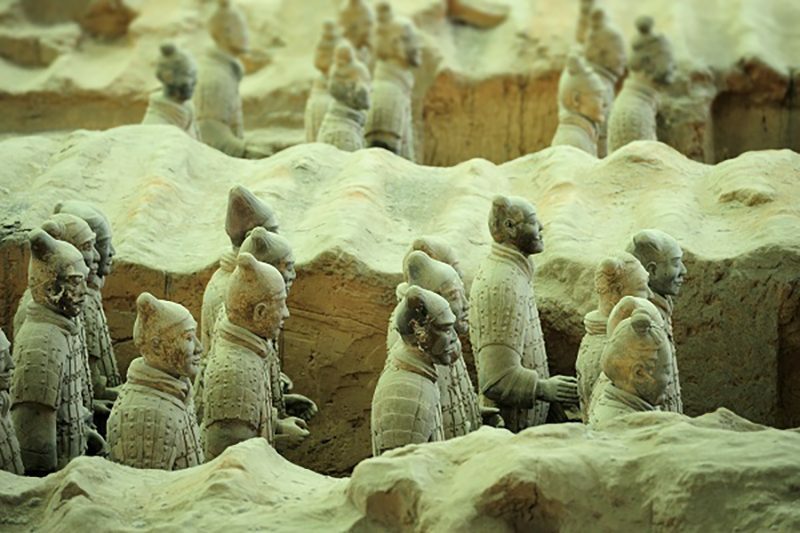 It is famed for of the 20th century’s most important discoveries – The Terracotta Warriors for part of the Mausoleum of Emperor Qin, guarding his journey into the afterlife. This incredible sight was discovered by local farmers drilling a water well to the east of Mount Lishan, close to Xian. The Ancient City Wall in Xian can be explored by foot or the very popular and fun choice; on a bicycle. 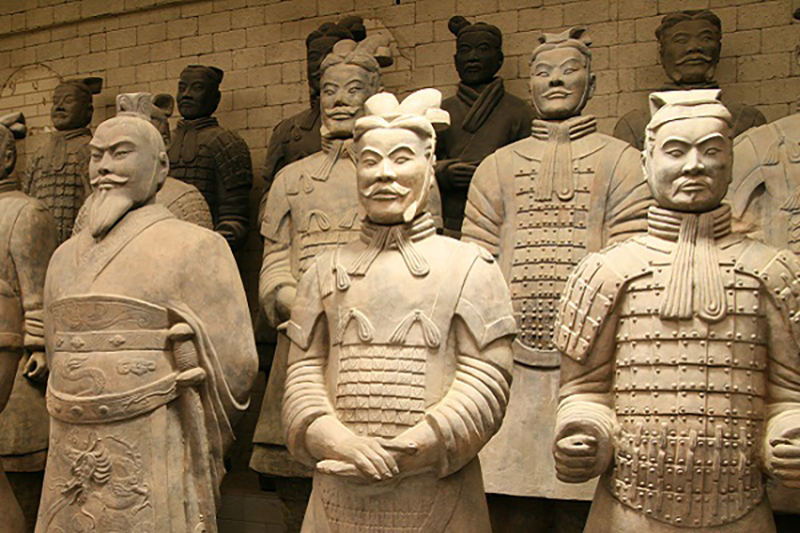 The Shaanxi Museum is probably China’s finest collection of over 400,000 artefacts spanning several dynasties. 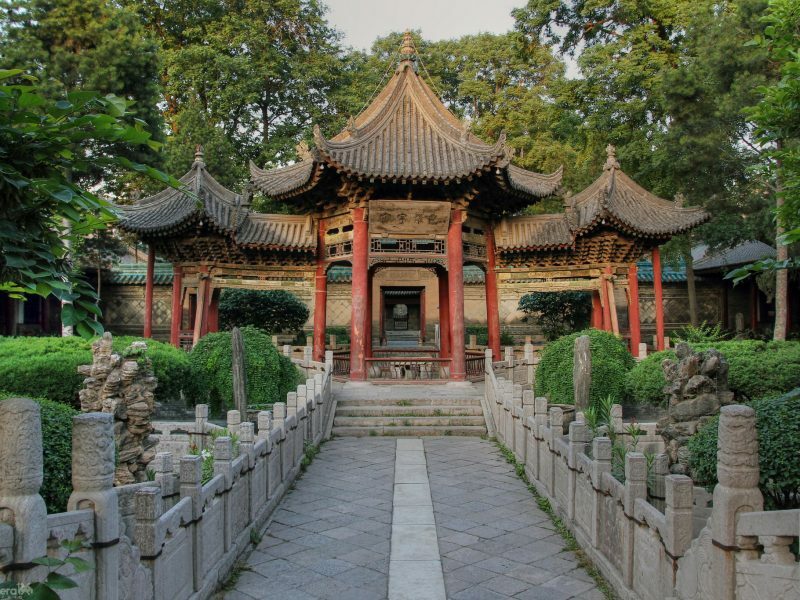 Other places that you will get to experience and enjoy include the historical site of the Small Wild Goose Pagoda.It was built in 707 A.D. Food served in Xian has a strong flavour of Northwest China. Traditional dishes and snacks include “Gourd Chicken – boil, steam, finally fry)”, “Pig Leg Joint”, “Mutton Soup with pancake pieces”, ” Pancake Sandwiched with Stewed Meat”. You can also enjoy the newly developed “Dumpling Banquet”. 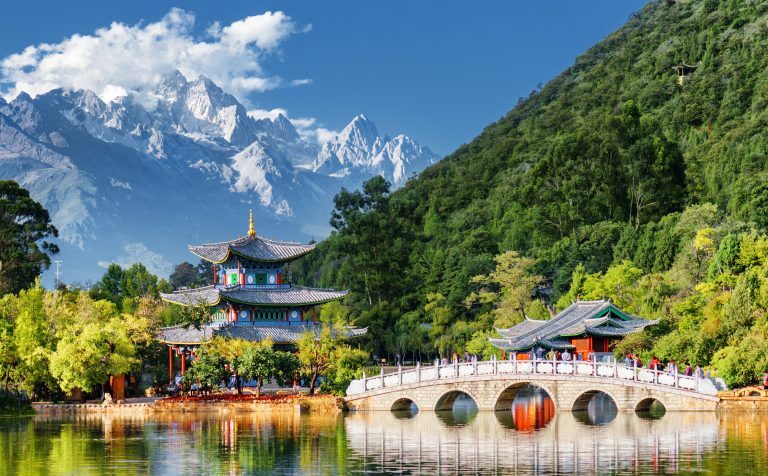 Xian is a must visit on your tour to China. 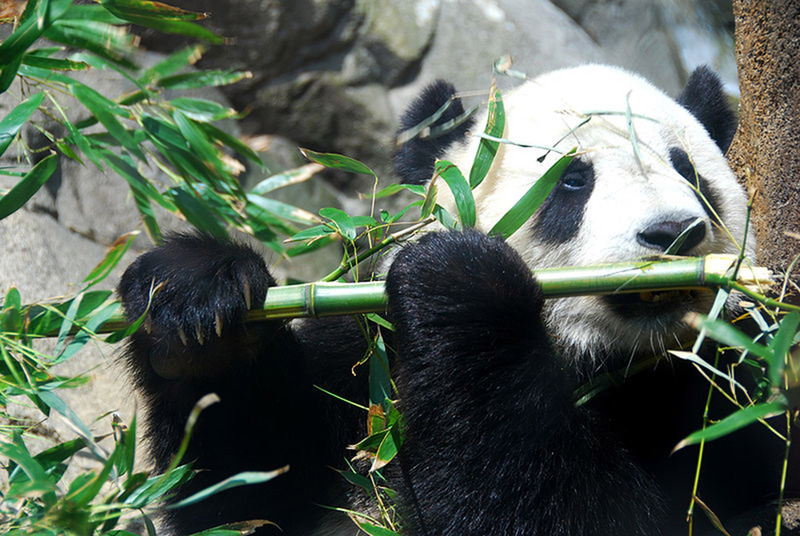 Here we have selected a few of the sights and experiences that you really should see on a visit to Xian. The Terracotta Warriors, a stunning collection of 10,000 life size statues of the Chinese army, made over 2,000 years ago, and almost perfectly preserved. 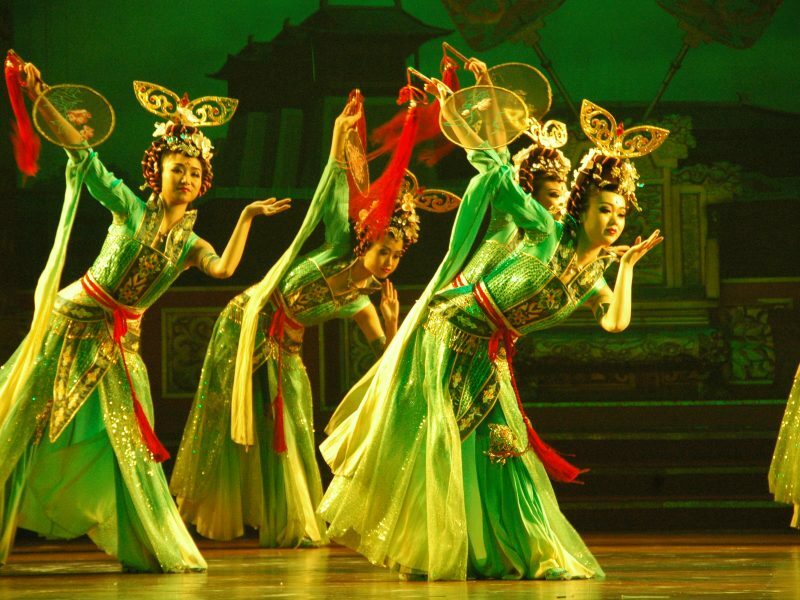 Spend a wonderful evening being entertained by the Tang Dynasty Show, a colourful performance of traditional music and dance, accompanied by a delicious dumpling dinner. Xian is one of the few cities in China where the old city walls still stand. 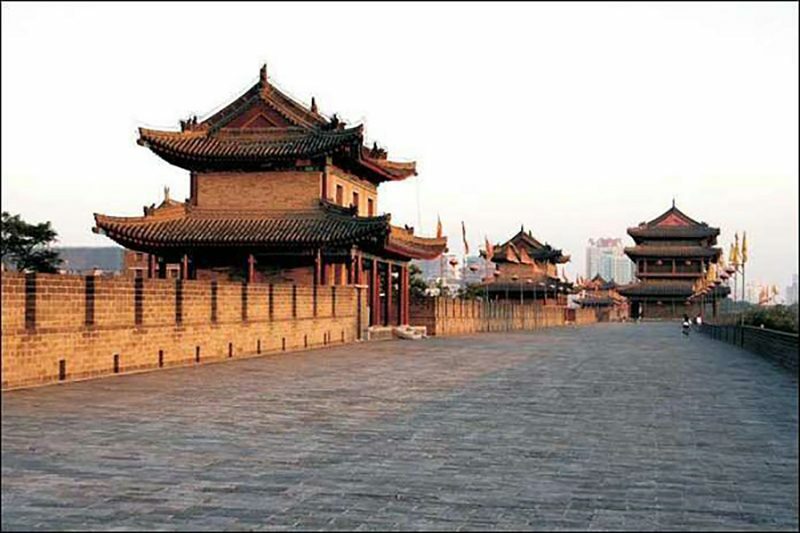 Built in 1370 during the Ming dynasty, the walls form a rectangle with a perimeter of 14km. Most sections have been restored or rebuilt, and it is possible to walk and/or cycle the entire way round. Bigger than many temples in China, the Great Mosque is a wonderful blend of Chinese and Islamic architecture and one of the most fascinating sacred sites in the country. Although the mosque was founded in the 8th century, most of the current buildings are from the Ming and Qing dynasties. Arab influences extend from the central minaret, to the vast Prayer Hall at the back of the complex (sadly, not open to visitors), which dates back to the Ming dynasty. 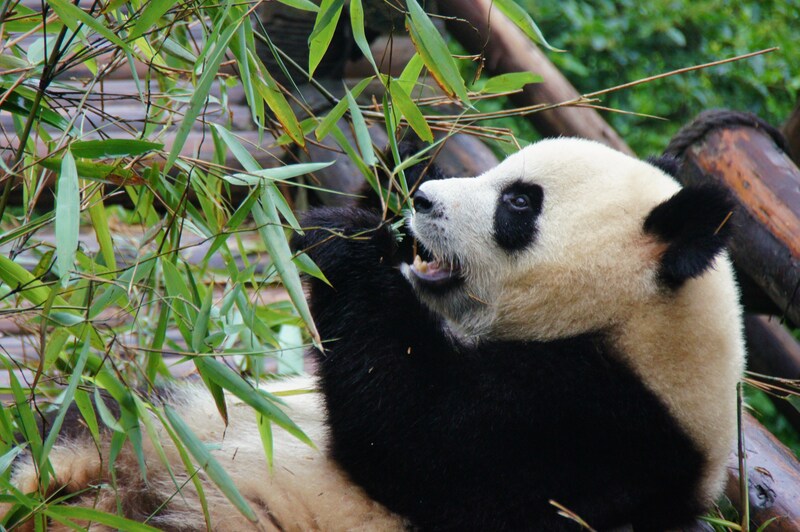 This Essential Plus Panda tour visits the Giant Pandas in their natural habitat, Zhujiajiao and the must-see cities of Beijing, Xian and Shanghai.